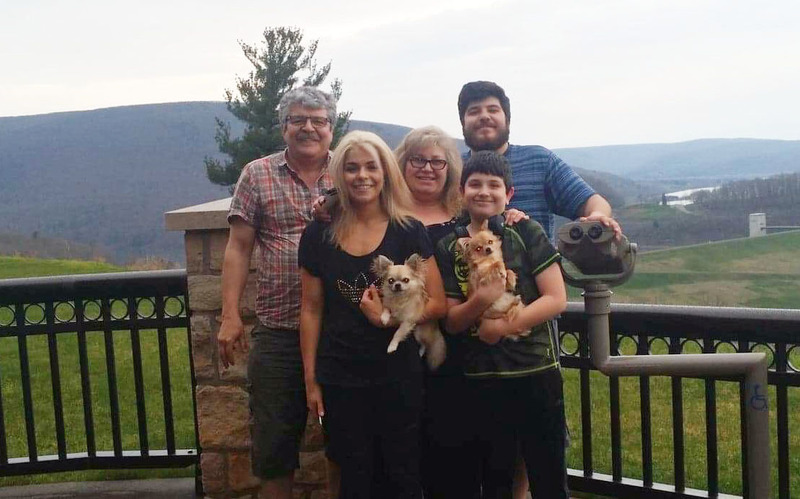 The Penev family on vacation en route to Virginia Beach in 2018. From left, Peter, Maria, Svetlana, George and Peter Jr. The footage recorded by the body camera of Officer Nathaniel Scriven captured much of what happened Dec. 10 on Liberty Street. The video was made public for the first time during a news conference Friday called by Chautauqua County District Attorney Patrick E. Swanson. Copies of the footage were distributed to members of the media who attended. But Swanson did not show the video to the Penev family, despite their requests to view it, said Svetlana Penev, the victim’s mother. She remains unhappy with authorities who she said withheld information from the family during the nearly four-month probe. Swanson called the footage a vital piece of evidence that led to the exoneration of Scriven, who was not charged in the shooting. The district attorney said he never offered to send the video to the Penev family, who are in Bulgaria visiting relatives. George Penev was shot and killed by a Fredonia police officer on Dec. 10. Svetlana Penev was in Bulgaria with her family when she received an emailed copy of the 23-page investigation report from the Chautauqua County District Attorney’s Office. She, her husband and youngest son are visiting their daughter who is a student at Medical University – Sofia. She said she is struggling to come to terms with her son's death. The Penevs, who emigrated to Cowlesville in 1998, operate Balkan Trans, a trucking company on Bear Road, where George Penev worked. 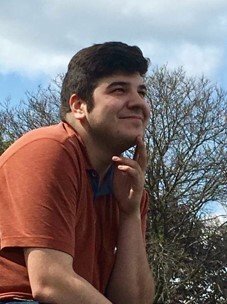 George Penev, who was 23, planned to pursue a career in computer science and was taking online courses, his mother said. He was renovating the family house in Cowlesville, and he loved the outdoors, kayaking with his sister and enjoying a bonfire with a large circle of friends. Maria Penev, 18, described her brother as an easygoing young man who had no difficulty making friends. On the day he died, George Penev and a friend took his Toyota Prius on a predawn ride to an apartment in Fredonia, where they purchased $30 in LSD, according to the district attorney’s investigation. At some point during his nine-hour stay at the apartment, George Penev began using a stun gun that was in the apartment on himself, said authorities. His demeanor changed drastically, the report indicated, and he locked himself in the bathroom. At last week's news conference, Swanson shared findings of the investigation that described George Penev emerging from the bathroom. He was shirtless, bloodied and carrying a knife. The Liberty Street house where the narcotics were purchased had not been identified as a “drug house,” according to Fredonia Police Chief Bradley C. Meyers. The occupant of the apartment identified by authorities as Amanda Bridges, was arrested Friday on drug charges, said Swanson. Toxicology reports showed George Penev had cocaine, LSD and other narcotics in his system. An examination revealed numerous minor and major force injuries to his head, neck, chest and upper body. The Penevs have many questions for authorities. When they return from Bulgaria in a few weeks, they plan to meet with Swanson. George Penev would have turned 24 on March 12, and this year like every year his mother wished him happy birthday. But this year instead of lighting candles on a cake, Mrs. Penev posted her sentiment on Facebook and said she sent it to him in heaven.